When you are looking to make a great escape this summer, there is no room to waste on excessive toiletries and cosmetics. It is imperative to hone in on the essentials and skip the rest. But what if you need a little extra umph, and don't have the space to sacrifice? 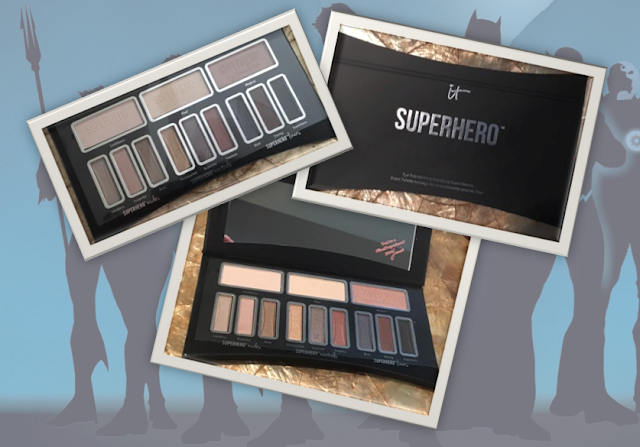 The answer is easy, It Cosmetics Superhero Eye Transforming Anti-Aging Super Palette, a perfectly packed palette that delivers maximum wattage and takes up minimal space. This multi-tasking miracle set comes stocked with 12 eye transforming shades raging from foundations, nudes, neutrals and liners. Each can be used individually or combined for a naturally flawless finish. Feel confident that you've got an entire team of makeup artists and scientists working with you to keep you glam on the go.